I was so excited that I was not able to write up a proper article and ended up posting the videos instead. However, this is a huge success for Tak Matsumoto and I think it deserves a good, and thorough article. Also, it is a great opportunity to look back how it all started, and how Tak Matsumoto finally came to receive this outstanding award. It is a rather lengthy article, so be sure to bring some time with you! 😛 Click read more to see the article! In 2007, Larry Carlton was introduced to Tak Matsumoto by Gibson itself. This is no surprise, since both of them have their respective Gibson Signature models. Matsumoto had heard of Larry Carlton and his music before, he listened to one of his albums for the first time when he was 17 years old. In 2008, they decided they would work on a project together. However, as 2008 marks the 20th anniversary of B’z, Matsumoto was dedicated to touring throughout Japan. 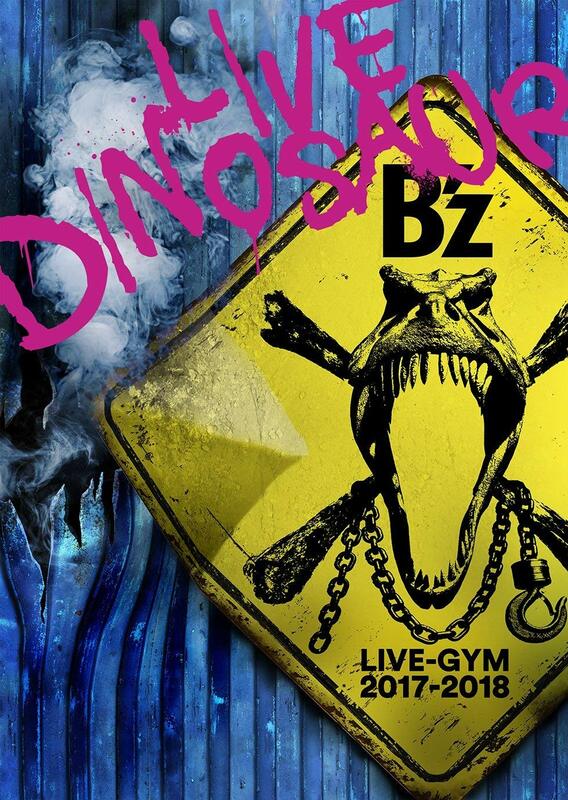 In fact, B’z did their “B’z LIVE-GYM 2008 ACTION” tour from January 2008 throughout August to promote their studio album “ACTION” released in 2007. 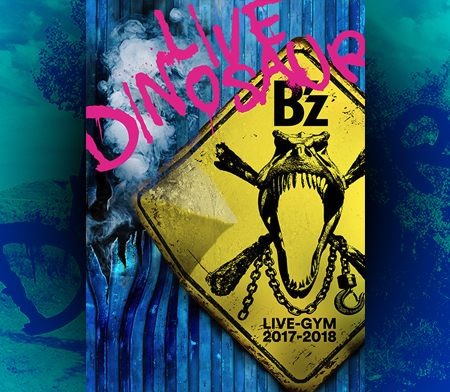 Shortly after that, B’z was celebrating their 20th anniversary by kicking off another, but rather short tour called “B’z LIVE-GYM Pleasure 2008 -GLORY DAYS-” which was held in September as September 21st marks the day B’z debuted in 1988. It wasn’t until late 2009, that Larry Carlton and Tak Matsumoto would finally be able to work on their project. When Carlton and Matsumoto first met in the studio, Matsumoto had already prepared about three songs, so they could get started right away. Due to all the enthusiasm Matsumoto already brought into the project, the recording would be a major success later on. However, the only time they were working on the project together, was in the studio. They wrote their songs separately and talked about them together in the studio. That also explains why the album is composed of six tracks by Carlton and Matsumoto respectively. Their collaboration took their own music experience to a whole new level. Matsumoto said in the Gibson interview “It’s totally different from others I had created. This is Larry and Tak music!”. After having written a few songs, they were able to kick off the pre-production in Tokyo. In only three days time, they were able to work up four songs. “That was an amazing time!” Matsumoto said. After countless hours spent in the studio, Carlton and Matsumoto were finally able to release their album Take Your Pick on June 2nd, 2010 in Japan and on June 15th, 2010 in the US and Europe. Following the release of the album, various critics surfaced on the internet, praising Carlton’s and Matsumoto’s works. Matsumoto was previously pretty much unknown to music connoiseurs from the West, but they were astonished by the sound Matsumoto put into his songs. Although Matsumoto released his instrumental album “Hana” in 2002 internationally as well as “TMG I” in 2004, he somehow didn’t become popular in the US or in Europe despite the remarkable reviews his works have received internationally. Matsumoto was able to impress listeners in the West by contributing fresh sound to his songs on Take Your Pick. Due to the popularity of Larry Carlton and his works, it is sure that a lot of Carlton fans will discover Matsumoto’s music, thus increasing the popularity of Matsumoto. To promote the album in Japan, Carlton and Matsumoto decided to tour Japan for a few gigs. The 12,000 tickets for the 18 performances sold out in Japan in less than an hour. They performed in Blue Note Tokyo, Motion Blue Yokohama, Zepp Fukuoka, Zepp Osaka and Blue Note Nagoya. Additional performances took also place in Zepp Sapporo and Zepp Sendai. But that is not all, Carlton and Matsumoto then went on to perform at the Tokyo Jazz Festival in September 2010. It was actually Matsumoto’s first time and he was really honored to be able to perform on stage. To top it off, Carlton and Matsumoto announced that they will perform in Taiwan and Hong Kong. The fans were very delighted to be able to see Tak Matsumoto in Taiwan as well as Hong Kong. They want B’z to come there once more and perform on stage. Matsumoto noticed this when he went to Taiwan and Hong Kong. He also received a lot of letters from fans, written in Japanese, asking him to come again, but as B’z. As tickets were limited, fans in Japan were happy when the two announced the release of their live performance in Blue Note Tokyo on DVD. The DVD was released in Japan on October 27th. Although sales weren’t as good as hoped, Take Your Pick received the Golden Disc Award for “Jazz Album of the Year” in Japan. Furthermore, Tak Matsumoto was voted “Best Guitarist” by readers of the Japanese magazine PLAYER. Also, the collaboration between Tak Matsumoto and Larry Carlton was voted #4 in the category “This year’s biggest news”. But the real biggest news of the year 2010, though, was that Take Your Pick was nominated for the Grammy in the category “Best Pop Instrumental Album”. Before the 53rd Annual Grammy Awards could take place, word got out that Matsumoto would be attending the Grammys with his wife. His wife especially wore a kimono made for just that occasion. Then, February 13th came about and I wonder if Matsumoto knew that this day would become one he would never forget for the rest of his life. It was a big day for him. As the Grammys were broadcasted live on Youtube, everyone in the world could tune in and see the show. This is especially interesting as this part was not shown on television. The first encounter with Tak Matsumoto was on the red carpet. When asked if he is overwhelmed or anxious, he replied “I’m a little nervous”. Luckily Larry Carlton took over and made sure Matsumoto could feel at ease. Then the pre-telecast show began and it ran longer than expected. They had over 90 awards to give away. Unfortunately the category “Best Pop Instrumental” album came up as one of the last, just before the end of the pre-telecast show. That’s why there are so many empty seats in the video. Matsumoto and Carlton were so nervous the whole time since it took over 2 hours until they could finally feel relieved, and then finally excited to know that they have made it. They won the Grammy for “Best Pop Instrumental Album”! Once they had made their way to the stage, Larry Carlton took over and thanked everybody for the Grammy Award. He then went on to talk about Matsumoto and described him as the “the top guitar producer in Japan” . He spoke very highly of Matsumoto’s experience in recording and production and that he has learned a lot from Matsumoto. This served as a great introduction to Matsumoto’s part, who introduced himself to the audience by saying “Hi, I’m Tak Matsumoto, guitar player from Japan. Nice to meet you”. Unfortunately due to the tight schedule of the pre-telecast show, they didn’t have enough time to prepare a proper speech. Despite the tight schedule, Matsumoto was so nervous that he couldn’t say anything other than “I’m very proud to be here as a Japanese guitar player. Thank you so much!!”. It seemed he was so overwhelmed that he couldn’t find the right words to express his feelings properly. Of course, the news were all reporting about Matsumoto’s Grammy Award monday morning in Japan. iTunes sales exploded in Japan resulting in Take Your Pick hitting #1 in the charts. But that’s not all: According to Tsutaya, all copies of Take Your Pick have either been rented or sold by Tuesday morning. Take Your Pick even managed to get up to #4 on Amazon Japan’s bestseller list. This goes without saying, but the Grammy for “Best Pop Instrumental Album” is the biggest achievement in Matsumoto’s career. As busy as he is, he’s already back in the studio, making more B’z music! Congratulations to Carlton and Matsumoto once again! Please keep up the good music! Wow… I bet that the grammy Tak won will probably motivate Koshi to do even more to get one too! Maybe it’s THE event that will make B’z music available internationally and maybe will lead to Tak’s second grammy and Koshi’s first! I’m not so sure… Koshi would have to release an international album first. And he has yet to do so. I agree with you, Tobias. I like both Tak and Koshi solo’s works, but as B’z they are special. I don’t blame you for getting too excited. I was too when I found out! And really sweet from Koshi saying “You are my hero” to Tak!